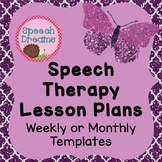 This is a simple weekly speech therapy lesson plan template that is easily modified to help keep the school SLP organized with themed group activities. I print and keep a binder of these to help keep me organized and to also look back at activities that I have done previously. 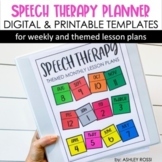 This is a free template Speech-Language Pathologists can use to write Therapy Lesson Plans in a school based setting. 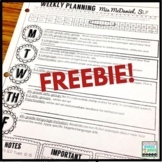 A convenient lesson planning template with spaces for notes, date, time and students, activity and materials, and goals. 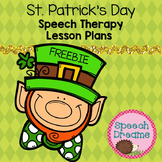 Speech/Language therapy session plan template in GANAG format with sample lesson plan included. This is perfect to provide to administrators when they conduct their observations of your sessions. 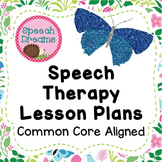 This lesson plan template is made for the Preschool to Kindergarten class. It includes the five days of the week broken into 5 Segments for Daily Plan Observations. They are AM, Social, Work, Goals, and Assessment. There are 4 Template copies. Just print and segments are big enough to write in. 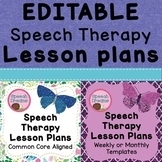 Quick, easy, accessible planning sheets. Print one for a group or one for each student. Plan for the session, week, or the whole month!